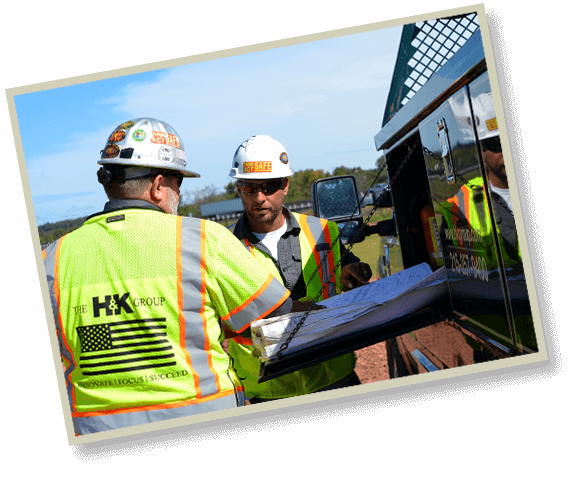 When you dig a little deeper and look beyond the trusted “H&K,” you’ll find a strong, experienced and diversified family of companies. Capable of operating individually, or as a collective team of affiliates, The H&K Group offers products and services that are unrivaled in our business sector. Constantly innovating and always adapting to meet change or challenge, we’ve been building a better H&K since 1968. This business philosophy has enabled us to create one of the most dynamic heavy civil contracting and construction materials companies in the Mid-Atlantic Region. Explore and experience why no one offers MORE than The H&K Group.